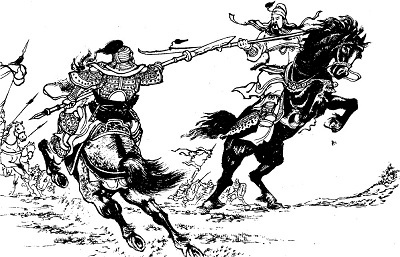 In ancient China, a phrase "Shi Ba Ban Wu Yi" was used to refer to every kind of martial weapons and fighting skills. Shi Ba means 18, Wu Yi means martial arts. 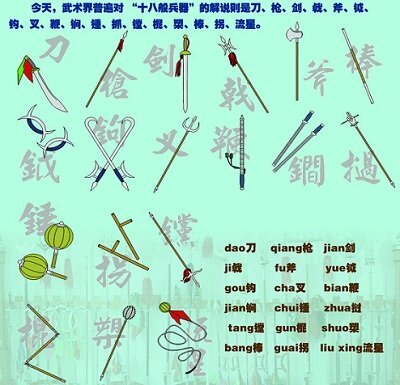 The literary meaning of "Shi Ba Ban Wu Yi" is "expertise of using 18 kinds of weapons". Here are more sample weapons. 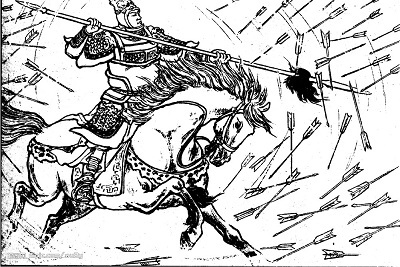 It was called "King of Weapons" in ancient China.